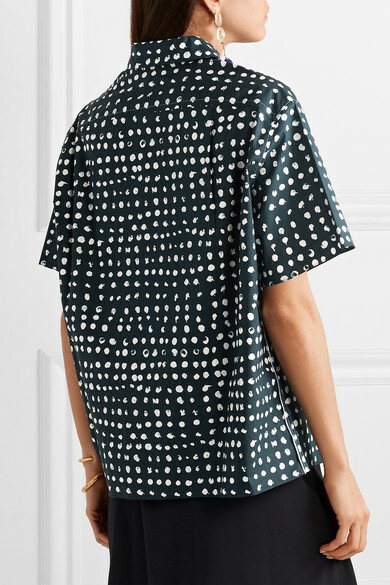 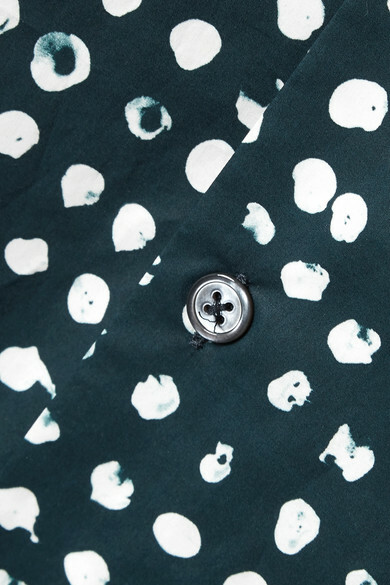 Marni's Creative Director Francesco Risso takes an experimental approach to prints, refreshing even the most classic ones - like the dots on this shirt - for a cool, graphic look. 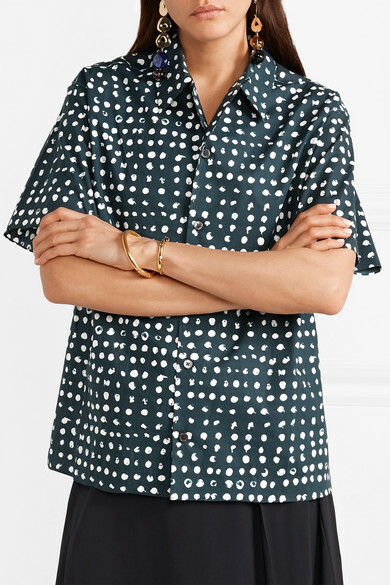 Cut from lightweight cotton-poplin, it has a loose fit and rich navy hue that works with everything from muted neutrals to light-wash denim. 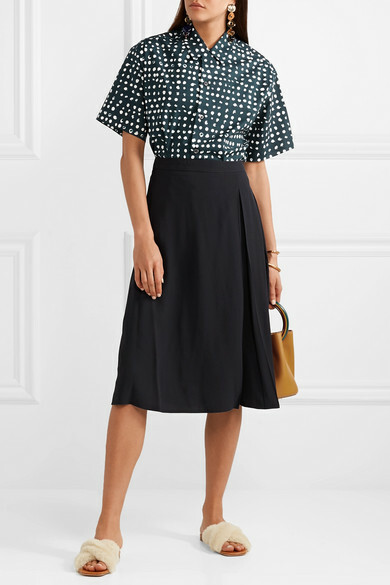 Shown here with: Marni Skirt, Marni Bucket bag, Rosetta Getty Sandals, Leigh Miller Earrings, Alighieri Bracelet, Sophie Buhai Cuff.